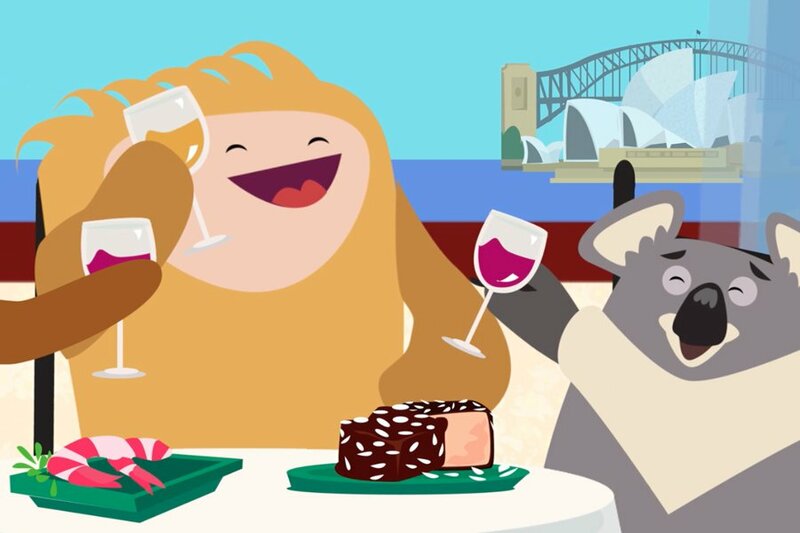 And now for the final installment of the adventures of Alvie and Joey, four animated shorts about two friends who go on holiday and have very different experiences. Watch what happens when they try to order something good for lunch. Poor Alvie. A tough menu. An even nastier waiter. And a warm bowl of worms to top it all off. Joey found friendlier locals, fresh seafood, and an experience worth raising a glass for. This video is a collaboration between Fathom and Qantas.com. Hats off to The Bindery for the animation.